All testimonials are from clients in Northwest Arkansas! Angel Pet Sitters is happy to provide references! It has been a long road of hiring a series of pet sitters for our three dogs, two cats, and guest wildlife until we ran into a professional we hope to use time and again. Judging by the way Courtenay handled my long and convoluted list of instructions, it is clear that her commitment to animals, clients, and professionalism is above average. She even went beyond the call of duty by catching on the fly a comment regarding the fact that I put to bobbing apples in the water tank, which either raccoons or deer eat every night. I certainly didn't expect her to go into chigger infested territory to do it, but she did anyway out of the goodness of her heart. We can finally travel with a clear conscience that our companion animals are in most capable hands. Thank you! - Dolores and Christopher D.
We cannot thank you enough for your wonderful service and for your Audrey. You were right -- we were very lucky to get her. My kids just love her. Our meet and greet went great, and even our "old man" Fisher (Terrier), who doesn't like that many people, fell in love with her. The kids were all very happy and content when we got home and seemed not to mind very much at all that we had been gone. Audrey left wonderful notes for us, and she obviously took the time to get to know all of them and their different personalities, and gave them the kind of individual attention that made them each feel loved and very special. It was obvious that my kids flourished in her presence while we were away. She even called me with concern over a cough Phoebe had, and offered to take her to the doctor. I had taken her to the doctor the week before and had tests run to be sure she was allright, but the fact that Audrey was so concerned and so willing to do what she could for Phoebe, just meant the world to me. How lucky are we to have found someone who cares so much. We can't thank you enough and I cannot say enough good things about Audrey. I felt a peace about having her in our home with my babies, and at our first meeting, it was like meeting up again with an old friend. She is wonderful and I would be very happy to give a reference to anyone if you ever need me to. A co-worker of my husband's highly recommended your service, and we were VERY happy with it! Audrey made me feel very comfortable about leaving our dogs in her care. We truly appreciated the loving attention she gave our dogs. They know an animal lover, and she is one. Audrey knew I was nervous about being away from the dogs, so she updated me while I was gone, letting me know they were fine. We would absolutely use your service if we travel through Arkansas again with our dogs! Our dogs probably got more attention while we were gone than when we are here! It was a vacation for the dogs...and for us. The notes that you left are amazing. They let us know that you really love what you do, and that you really got to "know" the dogs. We're very happy with your service! The photos were nice enough, but the cute frames just made them "nicer"!! Thanks again. I am very happy with the service! It was nice to come home to happy cats...they seemed to care less that I returned--which means they didn't feel neglected! Also, I appreciate the comments page. I am very particular about things and I LOVE that my house was clean and neat and everything was as I left it! I was absolutely happy with your service and professionalism. I appreciated that you made the best of a very difficult situation and overcame numerous obstacles. 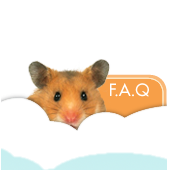 I would gladly use your service again and will gladly recommend you to anyone who has a pet. Thank you again and we appreciate your kindness and attention. We were very happy with your service! 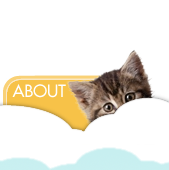 The first meeting (initial consultation) was very professional which made us feel very comfortable with leaving our pets in your care. The daily activity sheet was what we appreciated most. It was fun to read your comments about our dogs' activities. The amount of comments was reassuring. Thank you so much for the extra goodies you left! (i.e. stationery, ball with strap, magazine, etc.) We were pleasantly surprised upon returning home! Your staff is so detailed and caring! Kristen has a great personal touch--really cares about the animals and my feelings! I knew my pets would be treated as if they were her own--with love and affection. It was so reassuring knowing my home had the appearance of being occupied while I was gone, and my cats had a routine of being cared for! I have been telling friends and family how wonderful you are--will also tell my friends at Humane Society of the Ozarks to recommend you. I think you do a great job and it seems you enjoy what you do. I appreciate that you are so easy to work with. The pictures of the dogs gave me a sense of peace that they were happy when you visited and that makes me very happy. Thank you for bringing in the mail and newspapers! Also, the notes each time you visited were very nice! You fit right into our family with ease. Your love for animals is obvious--Lady, our cocker, won't just eat for anyone! The only people she will eat for is Mom and Dad and now Aunt Leslie! We're very happy with your services. Leslie has gone above and beyond at every visit. We loved the notes with highlights of her visits and the framed photo was a great touch! Thank you for taking such good care of Sadie! We can tell how much she enjoys your visits by her mood in the evening on the days you are here. Thanks also for the great photo and cute collar, which we are saving for a special occasion. We appreciate everything you do! Thank you SO MUCH for taking such great care of our boy Draq! We really appreciate it!! Also, thanks for the toy. Draq loves it! There was nothing you couldn't have done better! I'm absolutely happy with the little "extras"--the pictures were wonderful... the daily comments were like I never left! I loved it! I'm very happy I found your company! I really appreciate the daily report and I will definitely use your services again. You expect someone capable of handling mutiple animals, big and small. Punctual. Professional. We received that and caring too. Caring is a service that can't be billed for... it comes from a person. Evidence of this was the nice photo of our happy pet(s) while we were out. All that you expect and a little more than you had hoped for. I was extremely happy with the service! Leslie gave the girls personalized attention and spoiled them with gifts. She fed the fish, she brought in the mail and newspapers...she just took care of everything! I appreciated being able to leave the girls in their home environment, and I especially appreciated being able to go on vacation and know that everything would be taken care of. Leslie's attention to details and good communication (phone calls as needed and notes) made me feel confident that everything was in good, responsible hands. I'm so glad to know about your service. It's just what this 5-dog family needs! We'll definitely be calling on you again! We are very happy. Our pets were well cared for. This is the first time I've felt comfortable leaving my "kids" at home. Casey seemed to genuinely care about our pets and made sure they were well-fed and happy every day.I would be glad to give Casey and Angel Pet Sitters an excellent reference to anyone! Leslie Ray of Angel Pet Sitters has a genuine love and compassion for all animals. I believe she should be rewarded for her hard work and complete dedication she has unconditionally given to the animals in her care. My husband, Dieter, Doodle Cat and I are s-o-o-o very glad we have Leslie for our pet sitter. She is the greatest! When we leave our kids for two weeks, we don't have to worry about a thing, just miss the kids. Leslie has provided a wonderful service for my three dogs and cat. I can always count on her and know she cares about my pets. She truly enjoys her work! My husband and I are grateful to know her and will continue to use her services in the future." Very efficient, friendly, and professional. 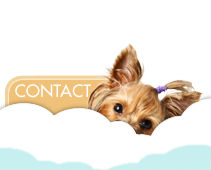 - Bill L.
We thought that Angel Pet Sitters were just AMAZING!!! We could not have asked for more, and we will continue to use their services for years to come! It was so nice to have such a caring person with our babies! It was really above and beyond anything that we could have asked for. The genuine sincerity that was displayed through the caring of our animals (was greatly appreciated). We will definitely make it known that Angel Pet Sitters are the best way to go when in need of care and support for animals when you are gone. We cannot thank you enough! We are sitting on the sofa, enjoying our reunion with the babies after completely ADORING the journal you wrote and the pictures you took - wow. Reading a journal of the boys' activities and your take on the action was the PERFECT welcome home and such a gift. While I was reading it aloud, Lisa and I both said that you really "get" them . . . it was so fun to read about the evolving relationship and we knew from what you wrote that they completely loved and trusted you. Thank you, Leslie for your thoughtful, insightful, and caring time with our boys. Truly, knowing that they are in good hands is just about all we think about when we are gone (and in fact, whether we can even BE gone). We heard about Angel Pet Sitters from All Cats Clinic. My husband and I were so impressed! Leslie was very professional, very warm, and very friendly. I felt as comfortable as I could leaving my Tygra. Upon coming home, I felt like it was Christmas--we loved the pictures and Tygra has been enjoying her gift!!! I really appreciated being told I could call any time and the notes on what happened every day. Both my husband and I were amazed at all the little touches that Leslie thought of. We moved here... and were so nervous at leaving our cat with a stranger. But Leslie made us feel that Tygra would be in good hands! She thought of so many things that even I didn't think of in the initial interview, and made me feel like she understood what I was feeling; it made a big diference for me. We are VERY HAPPY with your services--my dogs were much calmer upon our return--and what peace of mind knowing they would still be cared for if something went wrong. I appreciated the notes on their behavior and the GREAT photos! It is obvious how much you care for your animal clients. You spent time with Spike and catered to her specific needs. GREAT! What I appreciate most is the personal touch...the comprehensive reports and the picture of Spike!!! I am thrilled with your service. I would recommend your service to our neighbors, friends, and family. Best service in Northwest Arkansas! You are such a God-send! Thank you for doing what you do and for being SO darn good at it! The staff at PetSmart recommended your service and I'm very happy with it--couldn't do without you! The eagerness and joy my pet showed when he saw Sherri made me know he enjoyed the walks. I most certainly will recommend your services to my neighbors, friends, and family. We're so glad to know there is someone who offers this service. It really puts our minds at ease while we are gone. We especially appreciate the time spent with the dogs and the fact that you were so detailed with everything! - Connie & Gary W.
Your service is fantastic and we will certainly use it again as well as recommend it to others! Thank you! We really appreciated knowing Sophie was staying on track with her potty training and was having a fun day. Our animals were happy when we got home--very relaxed and not stressed. This is a unique business that we hope is very successful. We are most grateful for Sherri and Angel Pet Sitters! When I returned home I was happy to see that Bailey was very well taken care of! It looked like Mark had brushed him, because Bailey's coat of fur looked radiant! Bailey also seemed very happy, and didn't act like he had missed me that much. That means he was taken care of. I also really like the fact that a daily record was written down of what the visit was like. I enjoyed reading it a lot!!! Mark also left a card saying thank you. I am extremely impressed with your service and will continue to use this service in the future. Thank you very much!!! We are extremely happy with your service! The "boys" were very happy when we got home and didn't "pout" like they often do when left alone. We appreciated most the fact that we didn't have to worry about Pepper receiving his meds! Our friends would do a good job but we never felt that anyone else understood how important the meds are, until now! We really enjoyed reading your reports. It feels like we were here all along! You are a good partner in dog-spoiling! Thanks! I really appreciated the love and affection you showed my dog. I loved the personal notes left each day, the toys and the photo. My dog looked great when I got home! Thanks so much for taking such good care of my furry babies. It really eased my mind to know you were there caring for them. We received the beautiful picture of Kitty today and we want to thank you. We will spread the word of the good work you do. And of course, we will be calling you in the future. You are outstanding! And you may quote us on that. Thank you so much for taking such good care of our pets. We had such peace of mind on our trip that they were in good hands. The pets are very spoiled now. Loved the interview (good idea for both parties), enjoyed the daily notes, and interaction and time spent with my dogs. The professionalism (overall) of the company was most appreciated... the legal forms made me feel comfortable with you caring for my pets. But, just as important--the extra service: gifts for pets, pictures, etc. Nice touch. Great customer service! I have recommended you to our neighbors, friends, and family! Appreciated your attentiveness with Allie! Kitties seemed happy and well-kept! We appreciated the daily notes--very detailed and descriptive of cats' activities and mood. Leslie proved to be extremely reliable and trustworthy. She had a great deal of professionalism and a real concern for our dogs. I will strongly recommend her to anyone! Angel Pet Sitters is a godsend. The animals love Leslie, and my mind is at ease when I'm away on business or vacation. 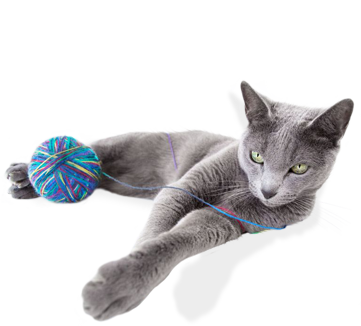 Angel Pet Sitters is the oldest and most professional pet sitting business in the Northwest Arkansas area. 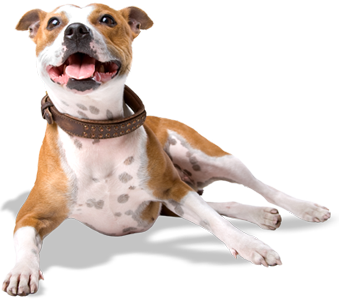 Leslie offers every kind of extra qualifications beyond the normal license (CPR for animals, skills in animal behavior, special accessories for all size pets,etc.) and she keeps current on news in her field. Her business is based on high quality service and the best attention possible for the well-being of the clients' pets. Thank you for the excellent care you gave Lucy while we were gone. We felt comfortable leaving her with you in our home, and Lucy seems so active since we returned! A friend of ours commented that Lucy looks as though she has actually gained weight, which is wonderful! We will be in touch soon to book you for our next trip. I'm very happy with your daily service, and the degree of reliability. Also, I enjoy the written feedback everyday, and the confidence you truly care about the pets. Finally, I feel very comfortable allowing you in my home when I am at work. Thank you, again, Leslie...you did a great job! The cats look in great shape. I will be happy to pass your cards along. Thank you for taking care of Lacey! Let me know when we can meet to schedule her mid-day walks. 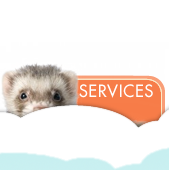 Thank you so much for the care you gave my Ferret-Children! I'm thrilled and fortunate to have found you (and your daughter)...! Thanks so much for watching Payton. We think you did a great job and appreciate the visit-by-visit info you gave us. We'll call you again! You did a great, GREAT job! We'll use your services again! My cat seemed relaxed when I returned home. I could tell she had been well cared for.